The Classical Hatha Yoga Program - 21 Days! "Hatha Yoga is the phenomenon of aligning the human system with the cosmic – a way to hold one's system in a way that it will become a receptacle to receive and hold the entire cosmos." Sadhguru: Hatha Yoga means that you want to be in absolute sync with the life process, because for your life to find its full blossom, it has to be in sync. There is no other way. When you try doing Hatha Yoga, the biggest barrier is the body’s limitations. The biggest barrier for human beings to do anything is their body and their mind. What should have been a stepping stone has turned into an obstacle simply because it was not explored considerably. After a profound and through exploration of the human system, we arrived at ways to transform the body and mind into great possibilities. Hatha Yoga is about creating a body that is not a hurdle in your life. The body becomes a stepping stone in the progress towards blossoming into your ultimate possibility. We want to take the physical form beyond its present level of limitations. In a way, Hatha Yoga means you want to make your comfort zone universal, instead of the small band that it is right now. Wherever and however you may be, you are at ease. You can naturally achieve a chemistry of health, joy, blissfulness and above all, balance. Hatha Yoga stems from a deep understanding of the mechanics of the body, and uses yogic postures, or yogasanas, to enable the system to sustain higher dimensions of energy. By practicing this profound science, one can change and enhance the way they think, feel, and experience life. This program is a wonderful opportunity to learn four ancient and powerful ways to transform the body and mind into great possibilities. is a simple yet powerful set of 10 practices that activate the joints, muscles and energy system, bringing ease to the whole system. Taught as a series of 31 dynamic processes to invigorate the body,and reach peak physical fitness. is a potent 21-step yogic practice of tremendous antiquity, designed as a holistic process for health and inner wellbeing. are a set of powerful postures through which one can elevate one’s consciousness and manipulate energies. 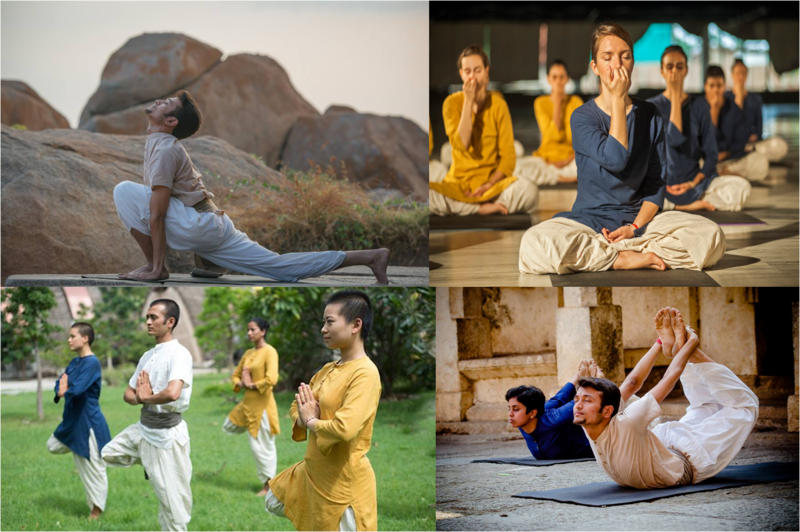 This Program Also fulfills the Hatha Yoga requirements for the Isha's Samyama Program. From 4th to 24th December, 2014. Morning: 6.00 am to 8.30 am. INR 9000/- 9620317773 or 9620317774. Evening: 6.00 pm to 8.30 pm.